Someone seems to like the water here :).All the songs are refering to it or almost (flood, river, ...). The singer of the band have a nive voice, very sweet. The guitar sounds weird from time to time if you ask me but is also kinda nice and you can find some nice riffs. The music is pretty strange and I have trouble accepting it, cause it's structure seems "unstable"... the song writing is probably to be blamed cause it seems the band is unable to deliver a decent chorus ! 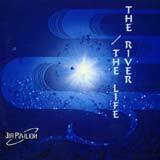 And frankly after a few tracks you get rid of the river / water subject and the blues that comes with it. Production is the only thing that stands in the release. Some nice moments then and there, with nice use of keyboards, but the overall doesn't hold any structure and in the end I was quickly bored, perhaps it's just me. Try before you buy.